It starts with medicating uncomfortable thoughts and feelings. Or, it’s a way to feel like you are a part of something. Or it’s a prescription to treat a temporary problem. You try it and like it. And it really does seem like “everybody does it”. And that is the beginning. Now in the middle of the story, something begins to change. Maybe it’s not having money, or not able to get what you need to get that feeling. Maybe the feeling is not even enjoyable as it once was. Problems begin to increase. You are out of control and may not realize it. You really are on a merry go round and can’t get off. Do it differently. For every change of course, a plan is needed. There are a couple of ways to do this. One is to not plan. Yep, You can let the merry go round carry you around and around. Be a slave to the circling cycle of no return. Or, you can escape from the slavery of the craving. Work on believing in a new description of what life can become. Do something different. Go to a meeting, listen to a sermon of hope, visualize what life can be. Get out of your way and let a different and higher force carry you to a different path. That sounds totally ridiculous! Why would someone embrace the pain? The reason is because, running from the pain is what keeps it cycling around us. It’s the resisting the emotion that keeps it alive. The more you resist, the more it persists. Embrace it by making a list of consequences. List the unpleasant situations, emotions, and their impact on others. Take your time. This is a project, not a one time, sit-down assignment. Be honest about what it is doing to you. Include all of your emotions. Too often, the pain is avoided. Hold on to the pain as a reminder. Now put your list where you are reminded of it. So often when defeated, it’s easy to feel that it’s impossible to make a difference. Spinning around constantly, and being out of control create feelings of despair. This plagues confidence. Building confidence takes time. Others have done it, so can you. Start believing that you can make a difference. Most people with an addiction are not aware of the impact this causes for those who care about them most. They may see their support as angry, withdrawn or nagging. They may not see the constant suffering, worries, fear and sadness that dwells. They too are on the merry go around trying to stop the unstoppable. It is important that they too seek support in living a positive life to eliminate the worries, fear and anger that are constantly churning. Treatment is always suggested as a way to obtain professional guidance. It can direct you to what is most helpful and appropriate for your needs in making a transition to a different way of living with positive outcomes. Remember diverting a child’s attention? Maybe they were banging on furniture with a stick. You simply distracted the child by looking at a video, playing with a stuffed animal or music. Whatever it takes to divert the child’s interest. It does work. It also works when we’re trying to make changes. Make it a practice to do something else, go some place take a walk. The trick is to do something different. The craving may shout louder and you can shout back with a distraction. Eventually the sound fades and the merry go round slows. It’s important to avoid places and situations that trigger the cravings. Don’t do it! Don’t go there! Make a list of other things you can do instead. They say “practice makes perfect.” That’s what training your brain does. 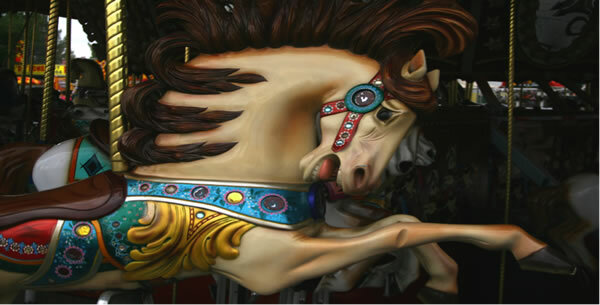 It practices slowing down and getting off the merry go round. Doing this frequently develops a new merry go round. One where you control rather than one that controls you. Note that all of these steps require an action. You have to do something different. Listen to the audio of this post below. Want to read more? Go to: https://changingwayz.com/addiction-treatment/. What will you do? Are you ready to silence the chatter and stop the merry go round?